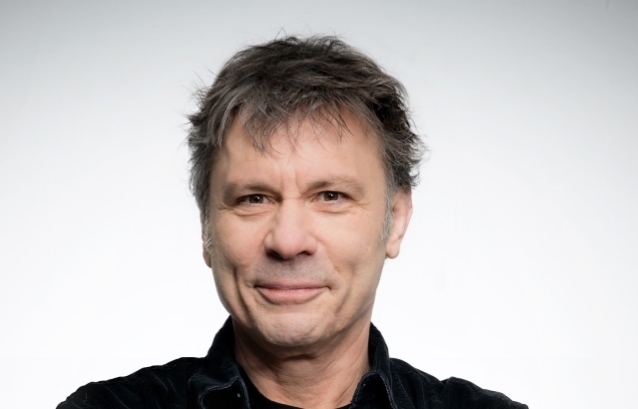 IRON MAIDEN singer Bruce Dickinson will deliver the keynote speech at the Craft Brewers Conference And BrewExpo America held in Denver from April 8 to 11, 2019. In addition to being the lead singer of IRON MAIDEN, Dickinson is a commercial pilot, brewmaster, entrepreneur and creative business thinker. Bruce was a pilot and marketing director for Astraeus Airlines, a company which leased aircraft to other carriers, and is the chairman and founder of Cardiff Aviation which specializes in heavy maintenance of Airbus and Boeing commercial aircraft. Bruce is also involved in an air ship venture to manufacture lighter than air hybrid transport aircraft and Pouncer, the incredible edible drone developed by Windhorse Aerospace that will safely fly humanitarian aid into hard to access disaster areas. Bruce hasn’t stopped flying Boeing 757s, and in 2016 flew the band around the globe on their “Book Of Souls” world tour in their own 747. Focusing on turning customers into fans, Bruce delivers world-class speeches to businesses around the world, comparing the challenges of operating in the world of rock music and commercial aviation with those in the business world; from teamwork, forward planning and the ability to learn from setbacks and move on successfully. Bruce will share the parallels between his music and business careers, and the lessons you can take away from both success and failure.